Customer matched zone "Australia - weight based and flatrate"
View cart “The Book Bag Bundle” has been added to your cart. 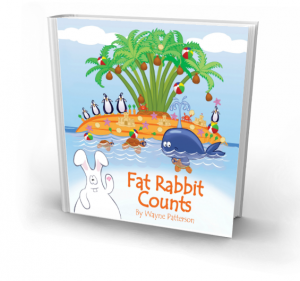 The Fat Rabbit bundle consist of 4 books (Fat Rabbit and the Cheeky Coconuts, Peck Penguin's Burp, Fat Rabbit Counts and Fat Rabbit ) + the Fat Rabbit toy. It is now available at a discounted price of $69.95. 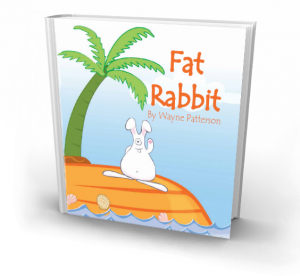 Your kids will surely enjoy while learning with this Fat Rabbit bundle so get one today! The bundle includes (1)Fat Rabbit and the Cheeky Coconuts + (1)Fat Rabbit’s Burp book + (1)Fat Rabbit Counts book + (1)Fat Rabbit book + (1)Fat Rabbit Book Bag. It is now available at a discounted price of $65.00 Regular price of $69.95 when you buy the 5 items separately. Hurry! Buy now! Great quality books with a wonderful theme that my grand children aged 2-5 will love to be read to for ages I’m sure. Congratulations.